Using simple door access control system with card or fingerprint is very common in offices and other public place to secure the premises. Giving access to a person through remote control being anywhere is the office or other secure premises is an advance feature to make security more convenient and user friendly. This door access control system can be installed with card reader or fingerprint reader by which employees and authorized person can enter themselves and a remote access control system for visitors. 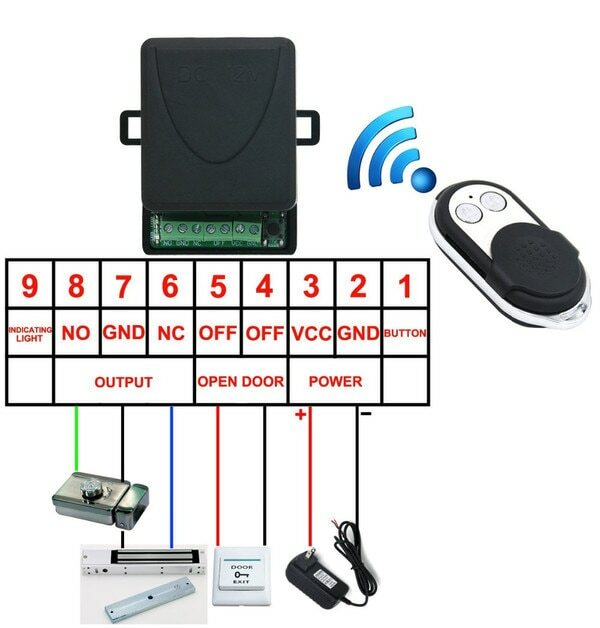 We supply installed and maintain complete access control system with remote control circuit.